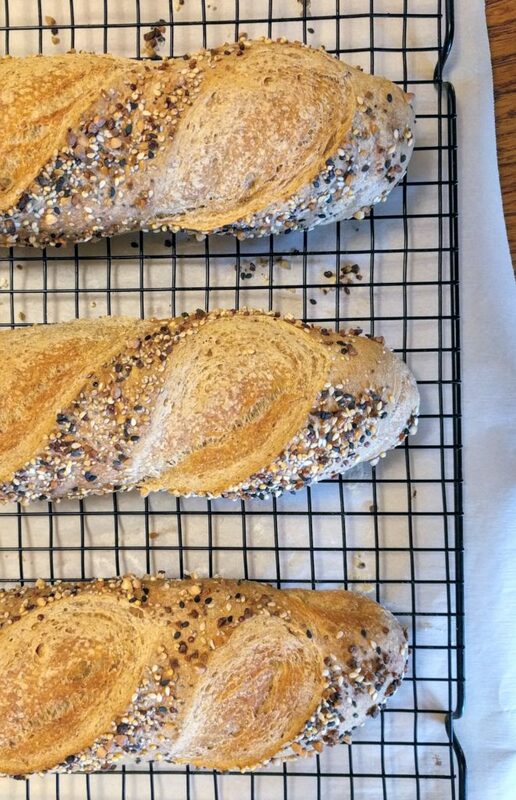 This beloved low-maintenance recipe has emerged from years of compulsion to bake my own simple, wholesome bread. This sourdough loaf meets both of those criteria, because it’s not only the seediest, but also the no-knead-iest. 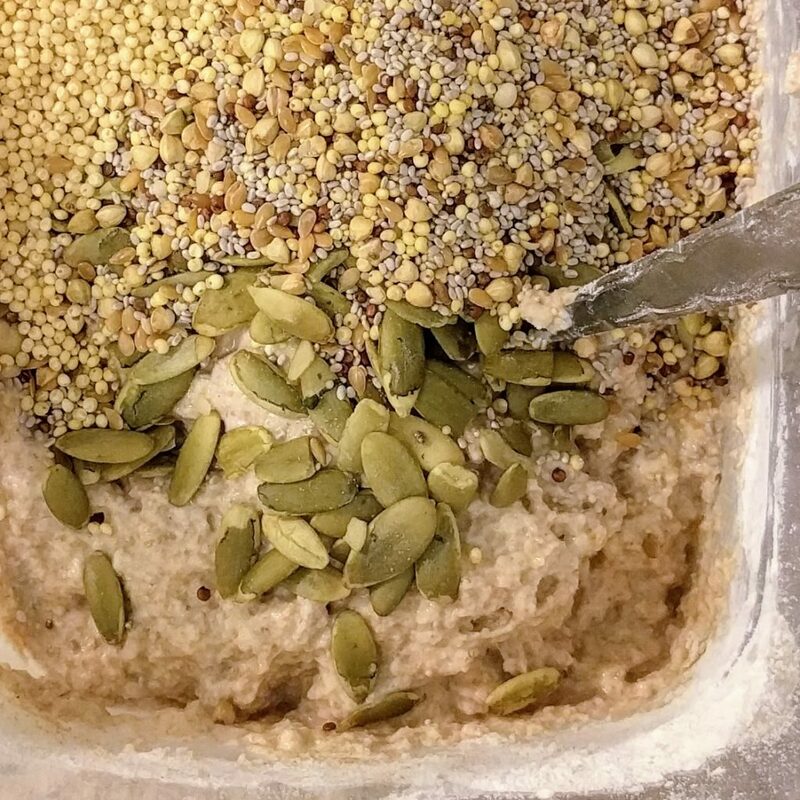 When I started keeping a sourdough starter, I zoned in on a relationship involving hands-off doughs, slow rises and flexible timetables – and the microbes seemed happy to cooperate. 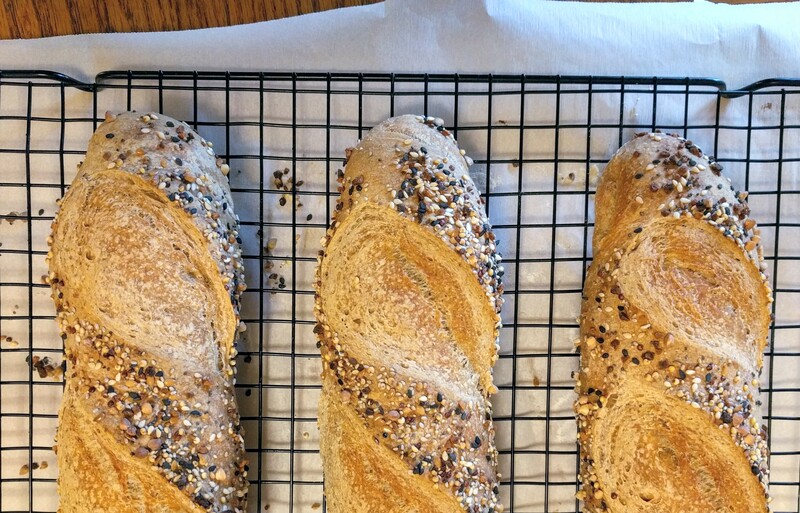 Although I’ve baked this kind of bread about a zillion times, I’ve been hesitant to put pen to paper on a recipe, because it’s usually a little different each session. Baking bread takes practice, and no matter how many loaves I bake, I still feel like I learn something every time. When I find myself standing over the scale, I find it difficult to resist tweaking a variable or two, just to find out what happens… so while I imagine this recipe will be forever evolving (and often being flouted with things like sharp cheddar and jalapenos…), I’m taking a shot at sharing what I’ve learned so far with the formula below. On a typical timeline, I take the sourdough out of the fridge and give it a feeding in the morning. The culture will wake up and get some nice bubbles going by sometime later in the afternoon, when you can mix up the dough and let it rise until tomorrow, baking day. Ingredients measured by weight only, not volume - you need a kitchen scale! If you don't have a baking stone, you can bake your loaves on a large sheet pan instead, which does not need to be preheated. You may wish to experiment with scaling up/down the proportions of white/whole-wheat flour; I have even baked this loaf with 100% whole wheat before, but it's easier to get a better loft with a little all-purpose in there. Combine the sourdough starter and water in a large bowl or lidded container. Add the flours and mix, without kneading, until it forms a thick, sticky dough. Then add the seeds, and mix until evenly dispersed. Cover the container loosely with its lid, plastic wrap or a damp kitchen towel, and allow it to rise at room temperature for approximately 1 day, give or take a few hours, until roughly doubled in size. When you're ready to bake, prepare a surface for working with the dough by lightly dusting it with all-purpose or whole-wheat flour. If you'd like to get creative and incorporate your choice of "fresh" flavorings (like herbs, cheese, olives, sliced peppers, onions), gently knead them into the risen dough before shaping. Preheat oven to 420 F. Place a baking stone on the middle rack, and a large shallow metal pan (like a rimmed sheet pan or a 9x13) on the bottom rack. Even though the next steps take some time, start the preheat now anyway; give the oven plenty of time to get the stone really hot. To shape the dough, begin by evenly dividing the dough into your desired number of loaves. Pick up each piece, dust the dough with a handful of all-purpose flour and use your hands to shape it into a ball, creating gentle surface tension by stretching each of the four sides of the dough down to the bottom of the ball (the "gluten coat" technique). This prepared doughball can be shaped into your choice of loaf: round, baguette, batard, or whatever fancy shape you might fancy. I usually go with a quartet of free-form fatty baguettes, shaped by patting the dough into an approximately 1.5" thick rectangle, folding/pressing one edge to the center, rolling the rest of the way, pinching the seam, and gently stretching out the length. 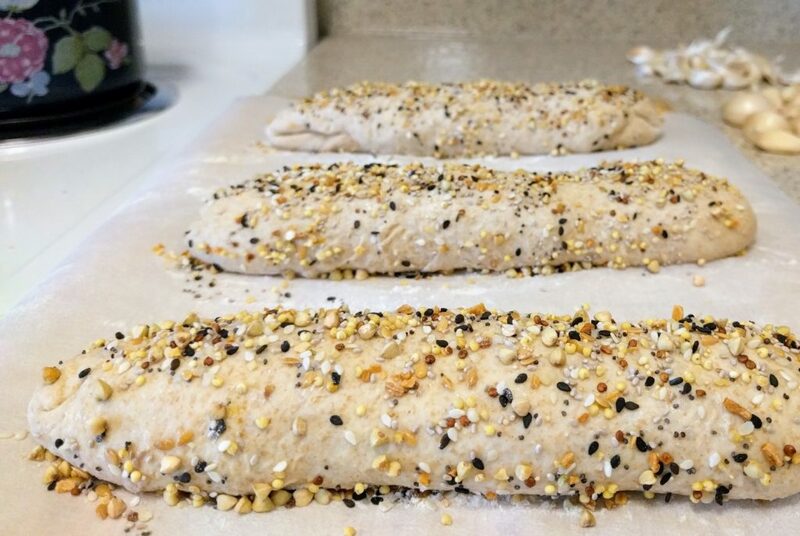 Place the shaped loaves on a piece of floured parchment paper placed on a large cutting board (or pizza peel, or other sturdy, rimless platter). Brush the loaves lightly with water, and sprinkle with extra seeds or seasoning if desired. Cover loosely with plastic wrap and rise in a warm place for about 30-45 minutes, until the loaves have begun to plump. Use a sharp knife to score the proofed bread, slicing into each loaf with 2-3 shallow cuts (approximately 0.5" depth) at a 45 degree angle. Get a cup of water ready. Open the oven and carefully slide the loaves along with their parchment liner onto the baking stone. 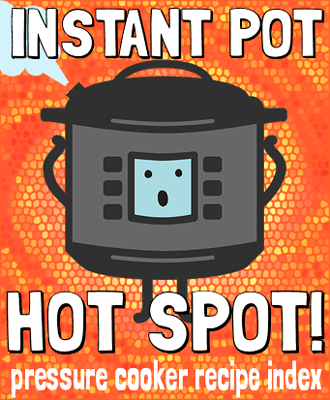 Wearing an oven mitt, pull out the bottom rack and carefully pour the cup of water into the rimmed metal pan before quickly closing the oven door. Bake the loaves for about 30-40 minutes until they are golden brown; doneness can be tested by knocking the loaves bottoms to listen for a hollow sound, or measuring an internal temperature of at least 190 F. Let the loaves cool on a wire rack, and wait until they are fully cool before storing in any kind of container; paper bags recommended for storage. For one who’s been making all our own bread for decades, but have been an off and on sourdougher (now back on with 2 slightly different starters in my fridge!) , this post is great news, including the seed and topping advice, since we live at Trader Joe’s anyway (yes, we can actually walk there from our home). 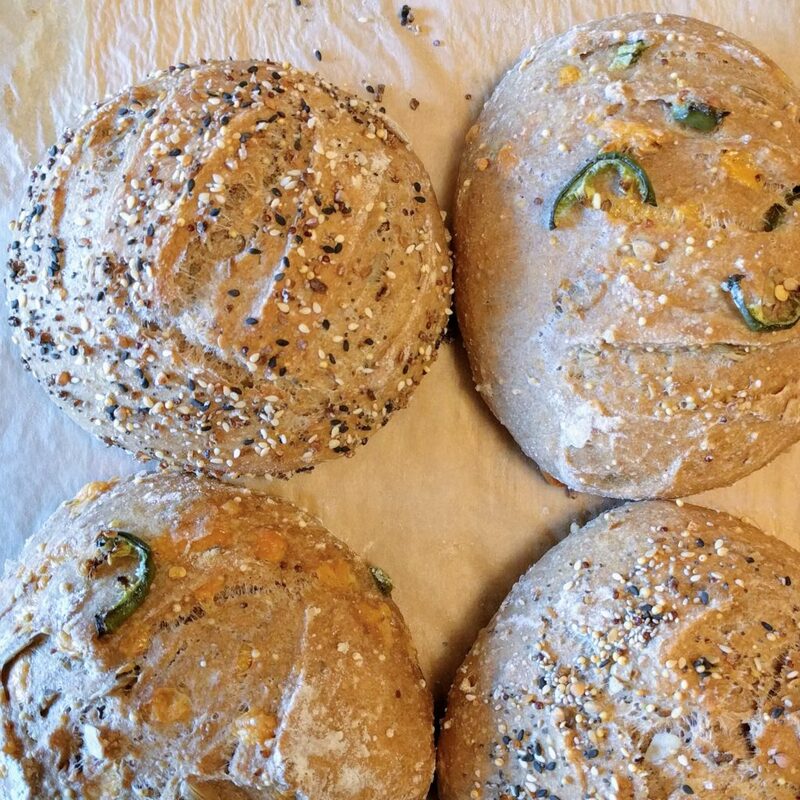 However, one question—have you made your loaves in a Dutch oven? After just moving an hour away from the nearest TJ’s, I’m envious! You know, I used to bake bread in a Dutch oven pretty often, but got out of the habit and have never tried it with this recipe. I’ll need to give it a shot! Happy sourdoughin’! !